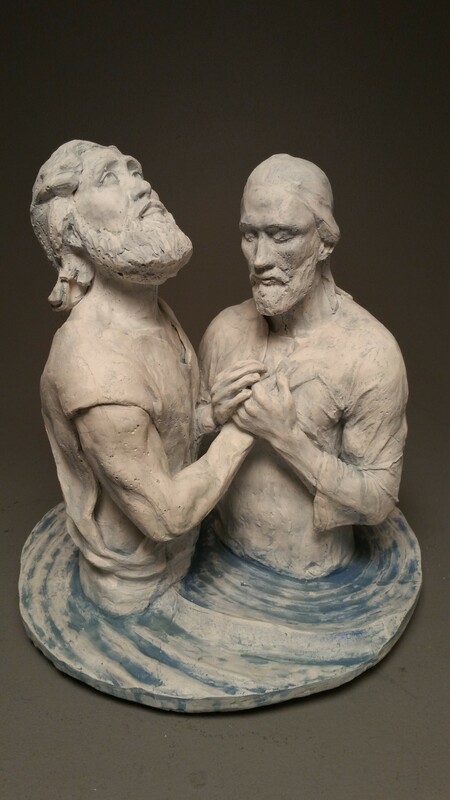 My piece is a sculptural representation of the baptism of Jesus Christ at the point after the baptism when God's voice is heard. The medium is plaster and the dimensions are roughly 16"x16"x16". The Book of Mormon is another testament of Christ and Nephi saw much of his life in a vision. This section of the Book of Mormon is very powerful to me and I think it's important to remember that Christ is the center of all scriptures.